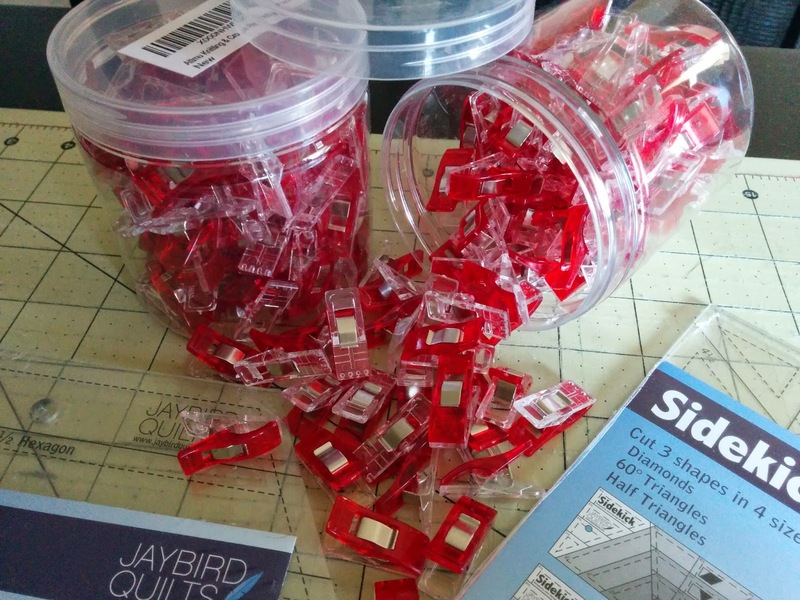 Lets Quilt Something: Fancy New Quilt Tools! Today I received my shipment. All these rulers and clips where from Amazon. I will say, I read a lot that Jaybirds Hex N More ruler was huge but they where not joking, this thing is VERY HUGE! 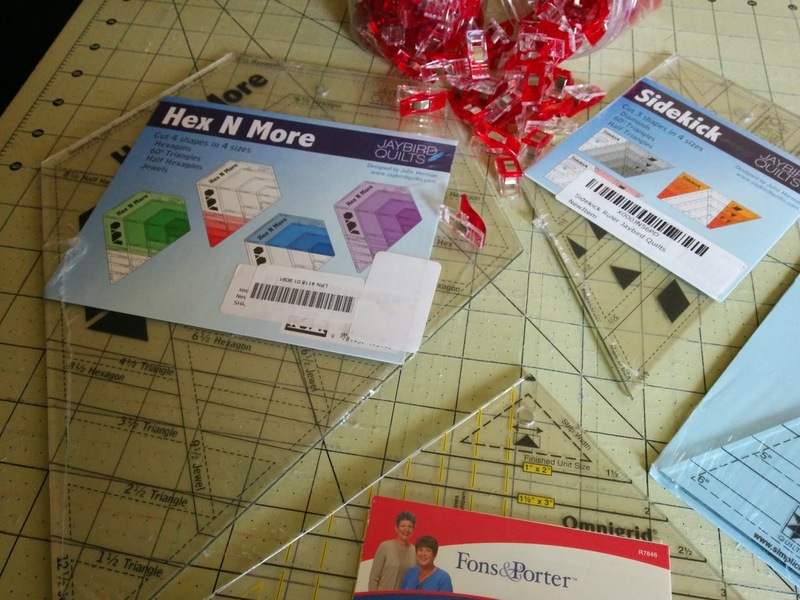 But I can't wait to start piecing my own fabrics together with her lovely rulers. Her quilts are really ragging for the past few years I thought it would be best to buy both her rulers and finally start making some quilts like hers. 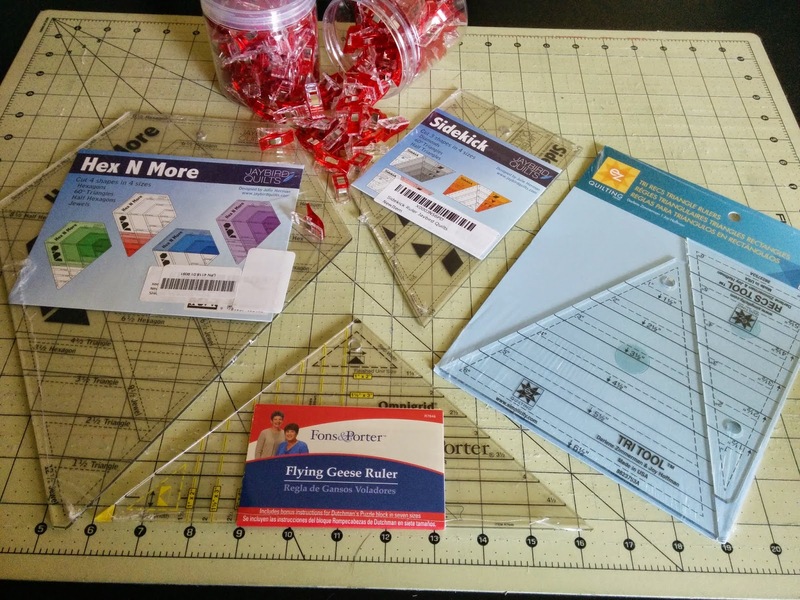 Another set of rulers I purchased was the Tri-Recs tool. This you really don't need but it does make things a lot easier, and I do mean A LOT, with making those lovely squares with a triangle in them. 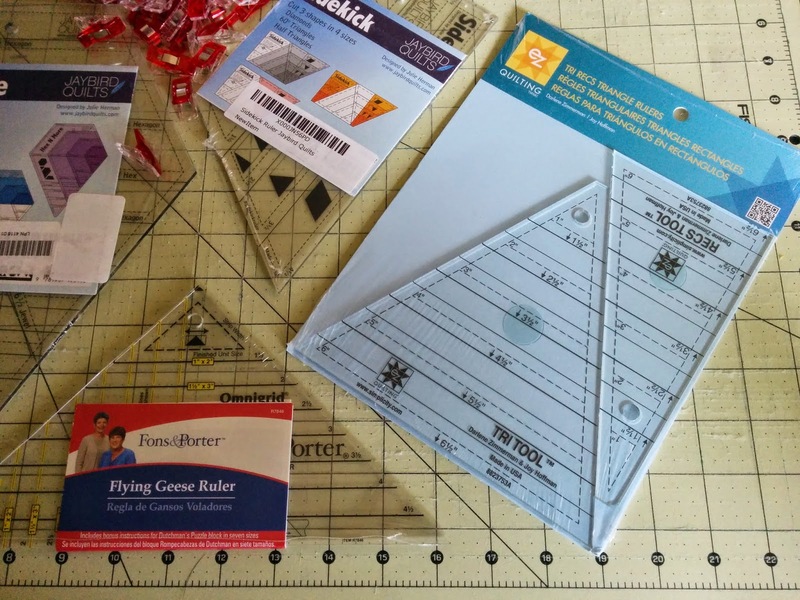 The Flying Geese Ruler is also a ruler you don't really need but if you plan on making a quilt with TONS of flying geese (which I do) this just comes in handy and you will be making flying geese fast and easy in no time.